Add a little patriotism to your tree! These adorable snowmen can be personalized at the base. 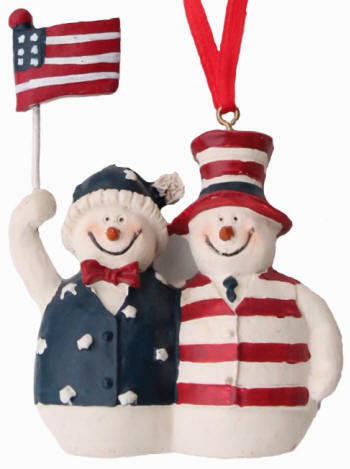 Dressed in red, white and blue and waving a US flag, they will be a great addition to your decorations this year. Imported. Resin.